Again it seems that Liechtenstein will be in air. 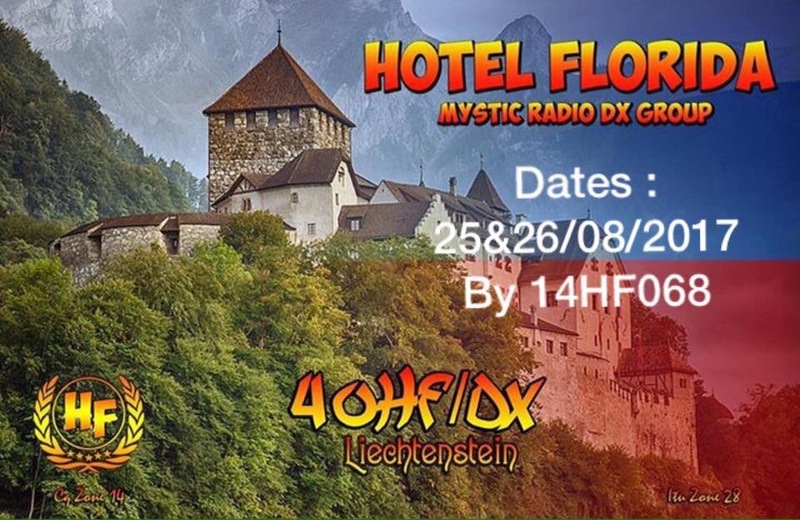 This time in the hands of the Hotel Florida DX Group. The event will happen between the 25th-26th August and the QSL will be via HF in Orly France. Wish you all great conditions and sure will be nice to make another contact here and be in the log. I’m happy to announce that I have sponsored this QSL.. Good Luck J.B.
on 27.500 very strong signal of +30db both ways but conditions lasted only breifly. The station is still active and calling on the frequency at the time of typing this but not so strong signal.